I used promarker pens to colour each square then I matted it onto black paper.. the sweet little sentiment is from the free clear stamps that came with the docrafts creativity magazine this month. 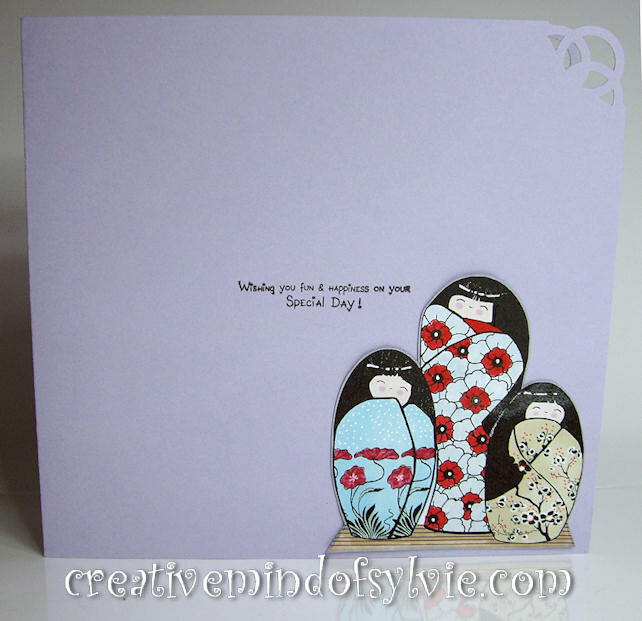 ... for the next card I decided to print and colour some of my own designed Kokeshi dolls group 1 over at the Stitchy Bear Stamp shop...again the sentiment is from the same freebie set I just mentioned. I cut out the set of dolls and stuck them to the lilac card. 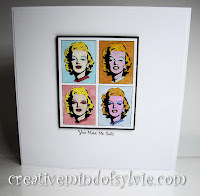 Very glamorous card! Love the colouring here, so eye catching! Just super Sylvie another gorgeous set of cards. What great cards!! Love the bright colors! 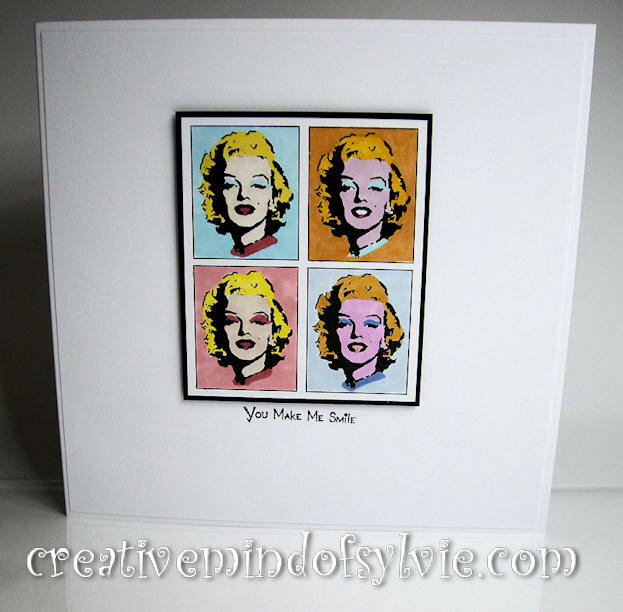 wow love the Warhol style card, and of course your lovely dolls which I already own.